Mr. Monzón received a Master in Telematics Engineering from the National University of Engineering (UNI) and a Degree in Physics. He is currently a PhD research student in Telemathic system engineering at the Technical University of Madrid in Spain. He is currently a promoter and member of the Project Management UNI Satellite Chasqui I, the Peruvian first nanosatellite built at the University. He has been a lecturer as a faculty member of Mechanical Engineering at UNI since 1996 and a researcher from 2008 at the Center of Information Technologies and Communications (CTIC - UNI). He promotes the establishment of the Center through the Korean Agency International Cooperation. His research interest is focused on the study of communication protocols and architectures based in Delay Tolerant Networking for nanosatellite constellations. He also participates in telehealth projects for the rural and forest sector in Peru, and he is an assessor and consultant in the area of security information. 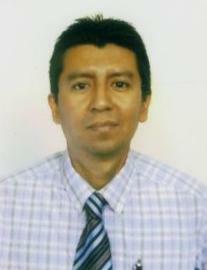 He is a participant in training courses in Germany, Russia, Korea and Spain and has had articles published in the IEEE.